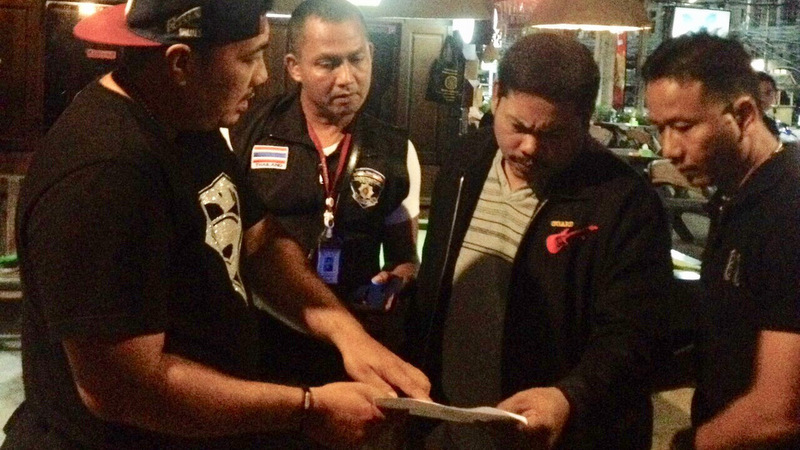 PHUKET: Police in Phuket last night (Aug 3) arrested a nightclub security staffer wanted for a murder in Surat Thani 10 years ago. Officers led by Col Akanit Danpitaksarn, a Deputy Commander of the Phuket Provincial Police, arrived at the “Hor. 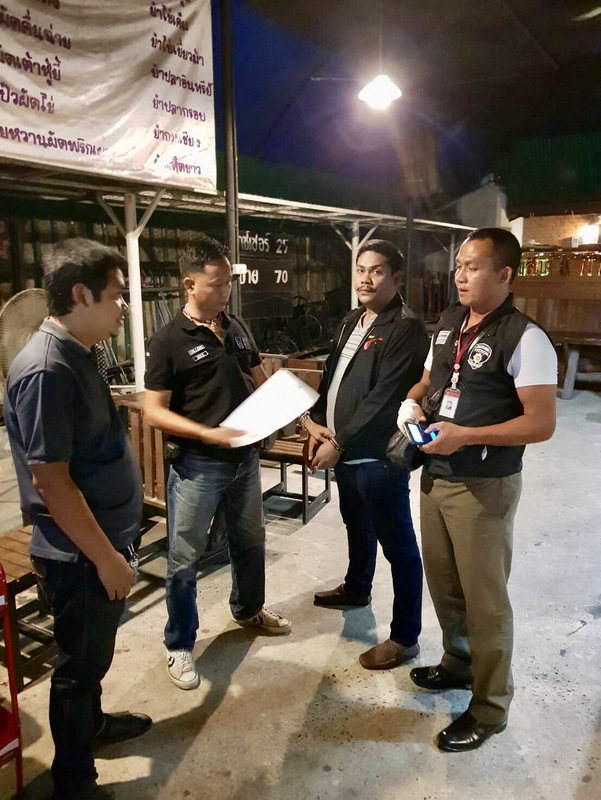 NokHook” (ฮ.นกฮูก) night venue on Patak Rd, near Chalong Circle, at 10pm and arrested Somjai Chartrithap, 37. The venue is technically registered as a "restaurant". Somjai was shown two outstanding warrants for his arrest: one for working together with others to commit premeditated murder, the other for skipping bail. 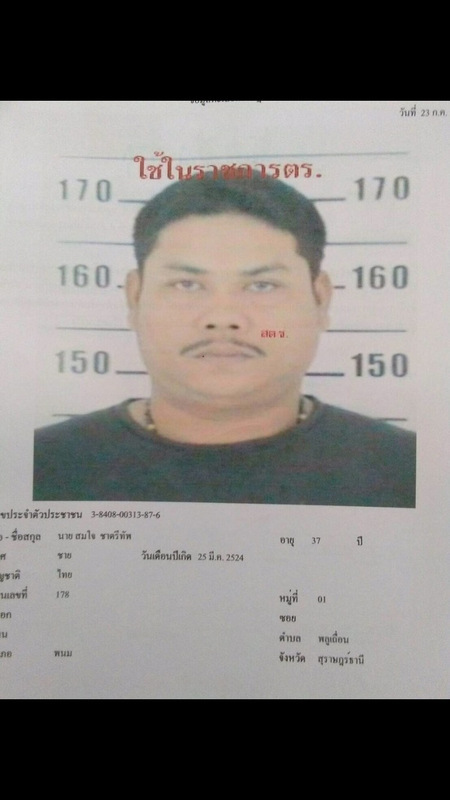 The murder arrest warrant was issued by the Surat Thani Court on March 16, 2008 and also confirmed that Somjai was also facing charges of illegal possession of a firearm and ammunition and carrying a firearm in public place without a permit. The subsequent arrest warrant issued on Jan 15, 2009 was for Somjai failing to present himself to the Surat Thani Provincial Court. 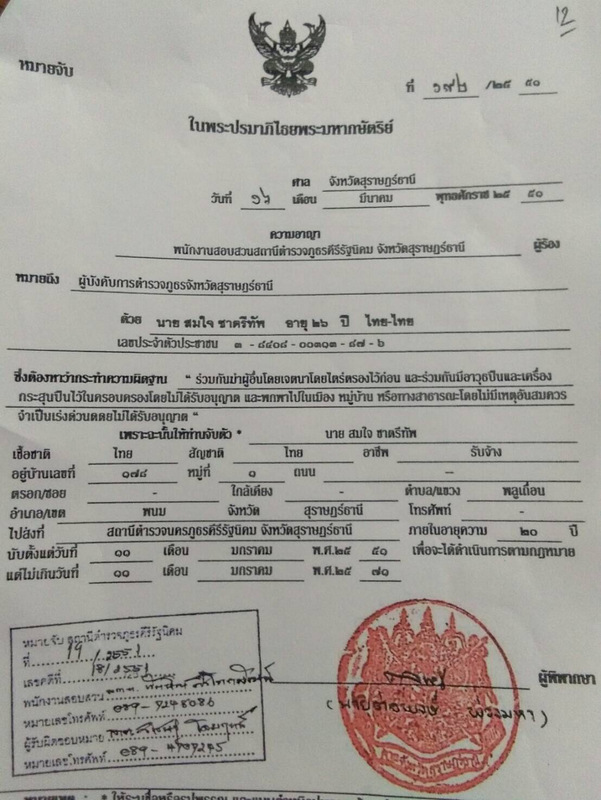 Somjai, still registered as living in Phlu Thuean of Phanom District in Surat Thani, near the provincial border with Phang Nga, has been handed over to officials in Surat Thani to face legal action he had managed to dodge for a decade. The section he has been charged with for the murder alone, if he is found guilty, incurs from 15 to 20 years in prison.